Art exhibitions: is the price right? I’ve dedicated this blog to free art exhibitions. At around £13, the cost of a major art exhibition in London isn’t exactly unaffordable to me – but as a young(ish) person living in one of the world’s most expensive cities, having wisely chosen a notoriously low-paid line of work and served myself up a solid helping of student debt, it’s not high on my list of things I can spend money on without feeling, well, a bit guilty. I’d certainly find it hard to justify visiting more than one in a weekend, which isn’t really practical when you’re trying to write a regular (well, at least semi-regular) blog. And as I’m (to my great regret) only one person, it provides an easy way to filter down the hundreds of art shows going on every week into the ones I actually want to write about. But what if art was cheaper? 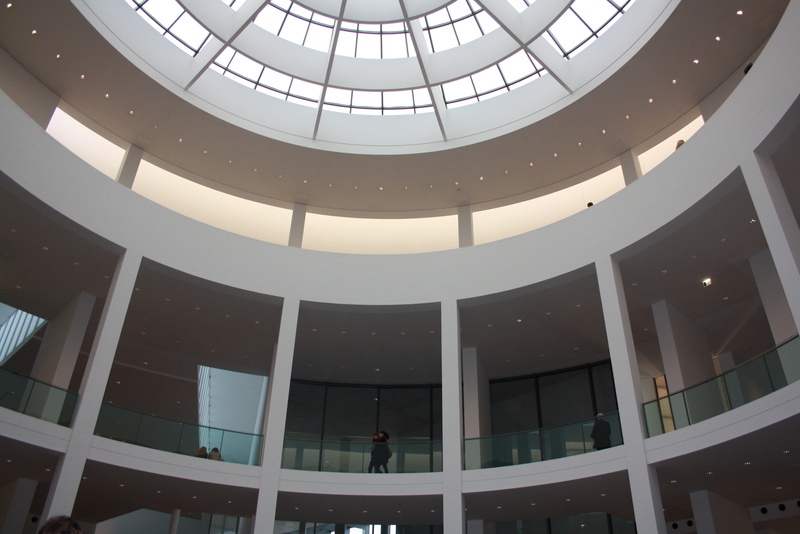 I recently spent a few days in Munich, and in between ingesting beers the size of my head and marvelling at the fact that people can actually style out lederhosen and dirndls as viable casual outfit options, I visited the Pinakothek der Moderne (above) – the city’s largest modern art and design museum. Its permanent collection houses a huge range of paintings from the early twentieth century onwards, including the likes of Picasso, Paul Klee and Otto Dix, and as a fan of inter-war debauchery I was extremely pleased to see a whole room dedicated to Max Beckmann’s dark, German Expressionist portraits of sinister, heavy-browed good-time girls, masked figures and people looking bored at parties. Exhibitions currently include Creating Realities, a show about the relationship between cinema and art including the disconcerting Sleepwalker by UK artist Clement Page; and a touching exhibition of photography by Nicholas Nixon entitled The Brown Sisters. 40 Jahre, showing photographs of the artist’s wife and her sisters taken every year on the same day for 40 years. There’s also an exhibition of work inspired by El Greco, from the likes of Kandinsky and Adolf Erbsloh, as well as a showcase of modern furniture design. The cost for all of this? One euro. That’s the Sunday rate, and it’s also completely free every Wednesday. On other days, it costs 10 euros (£7.32) – if you paid individually for four exhibitions in London, it’d probably set you back at least £30. I also visited the Museum Brandhorst, a smaller (and very multicoloured) gallery under the same ownership as the Pinakothek which focuses on later 20th-century work and is currently showing the works of Cy Twombly and Franz West in dialogue, and an exhibition called Dark Pop featuring work by Warhol, Mike Kelly and Jeff Koons among others. I’ll review it later, but it had an installation by Louise Lawler which involved pictures of spitfires and periodic disco lights, all arranged beside a huge window so everyone on the street outside would want to join the party. I don’t know if that was accidental or blatant advertising, but I kind of loved it. This cost 7 euros (£5.13) on a Saturday afternoon. In London, the permanent collections of the big galleries (along with other museums) are generally free, which is great. But where the galleries make money is through exhibitions, for which tickets generally cost between £12 and £15, with discounts of around £2 for students and OAPs and free entry for children under 12. For example Marlene Dumas: The Image as Burden, currently at the Tate Modern, costs £14.50, or £12.70 for concessions (and that’s if you have the balls to ask not to pay the optional donation), and tickets for the National Gallery’s Inventing Impressionism are £16, or £8-£14 for concessions. I understand that the cost of living is slightly higher in the UK, but these are both almost double the cost of full-price entry to the whole of the Pinakothek – which allegedly houses the biggest collection of modern art in Europe. That probably has something to do with the fact that the arts are better (and more willingly) funded by the government in Germany – but as a general system, charging everyone who walks through the door a smaller fee does seem a more sensible way to spread the cost. There are exceptions in the UK – and this blog wouldn’t exist without them. Most London galleries do some free exhibitions, usually of smaller or lesser-known work, and multi-purpose venues such as Somerset House and the Barbican always have something interesting on. There’s also the Saatchi gallery, which is always free. Costs are lower outside the capital, too – for example the great Ikon gallery in my old hometown of Birmingham is free entry including all exhibitions, sometimes raising money for specific shows through the crowdfunding website art happens. But generally, the cost of free entry is that, when you want to see the latest big thing, you’ll have to fork out the £££. Being able to browse the big galleries free of charge is a boon for tourists, but what about the people who live here? Once I’ve seen a permanent collection once, I don’t really want to go back, at least for a while (unless it’s the National Portrait Gallery, which as I’ve mentioned before is where I go to think). But if I could pay a fiver or so each time and see several new exhibitions – rather than pay nothing for the basic package and have to fork out £14 every time I want to see something new – I’d be more likely to make a return trip. I’m a big advocate of the Parisian system of free entry to museums for all under-25s, but now I’ve reached that ripe old age, paying for art is fine by me. I just think it would be great if you got a little more for your money. But public galleries are supposed to be for everyone: tourists, school groups and parents looking for a way to occupy their kids during a rainy school holiday, but also art students, art buffs, and people working in the creative industries – that’s where the problem lies. 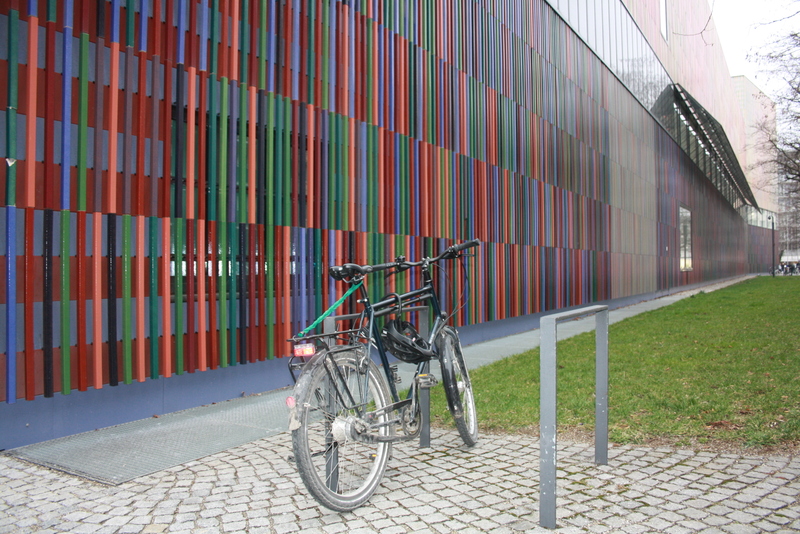 Munich’s system seems to have an option for everyone – if you can afford it, go on a Saturday. Schoolkids can go on Wednesdays when it’s free. And students, families (and skint art bloggers) can take advantage of the cheap entry on a Sunday afternoon. I am not sure how the UK deals with the matter, but one if the reason why it is possible to keep the costs low is because everything which can be considered “good for education” has to pay only half of the sales tax in Germany. That also includes books, which have, on top of this, a fixed price. This results in some of the more popular books being slightly more expensive than they have to be, but the upside is that books which would normally unaffordable because there isn’t enough interest in them, are sold to a reasonable price. It’s a really good system, Imho, because it ensures that culture is available to everyone. To this day, it is sometimes cheaper to go into the theatre than to the cinema. That’s really interesting, thanks. Sounds like a good system! I agree with your conclusion. The last time I went to an art exhibition was joining a friend to see a photojournalism art piece (one of the free, long-term installations), at the Tate Modern. I’d love to visit more art exhibitions, but, apart from me being the only one who’s interested in such things among my the friends I tend to go out with, the cost of getting into the unusual, critical acclaimed or limited exhibitions is often far too much for me to justify. I’ve got the ticket somewhere, but I think I paid £12.50 for entry to the Barbican’s Digital Revolution exhibition, last summer. It’s was fantastic, but I definitely couldn’t drop £12.50 on art exhibitions every month, let alone every two weeks. It’s only relatively recently that I discovered how affordable concerts can be (though, the cost of many ‘big-name’ shows is equally as bad, in my opinion) – provided you’re in the right place at the right time, or have discovered some of the fine, free music showcases that go on in the capital. But, since I’m much more likely to choose the odd £12 or £10 concert as my monthly culture treat – because that’s already competitive to cinema or theatre costs – galleries would have to change their pricing to attract someone like myself. Sadly, despite some of the creative art exhibition adverts I see on the Tube, I think poor communication, a lack of government funding (thank goodness for Tony Hall backing BBC Arts) and a damaging social belief that ‘art is for some people and not for others’ is keeping many UK galleries, especially those in London, from adopting the policies you suggest. Still, we live in hope. Thanks Aaron. I think you’re right – the current system means that the new exhibitions are reserved for serious culture buffs (or those with the money to spare). Although a lot of people would object to having to pay to get in to a gallery on principle, I think having a lower, flat entry fee would open up exhibitions to a wider audience.